The Bay Area Discovery Museum (BADM) is an indoor / outdoor children’s museum at the foot of the Golden Gate Bridge, serving over 300,000 visitors per year on a 7.5 acre site. 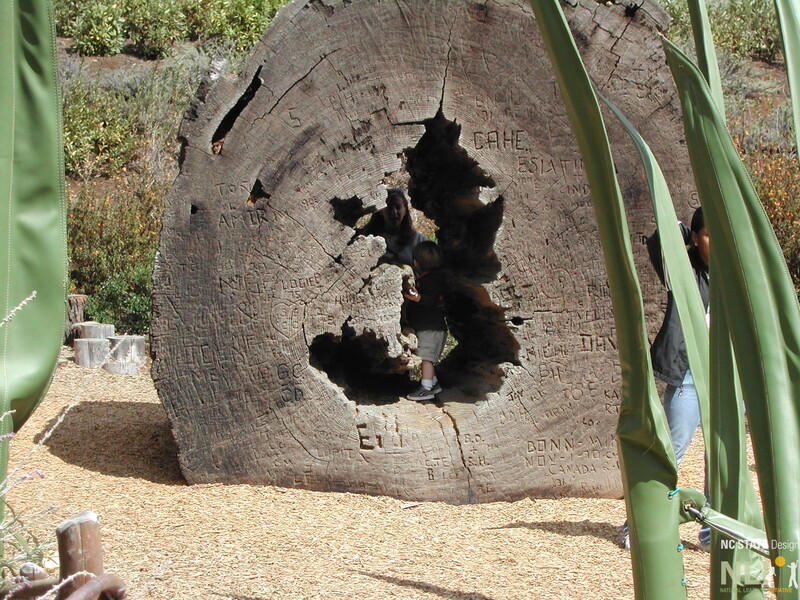 It is the only children’s museum in the U.S. to be located in a national park. The museum emphasizes creativity through play and encourages children ages 6 months to 8 years to develop as curious, creative, adventurous lifelong learners and explorers. The Museum’s programs feature hands-on art, science and environmental exhibitions, performances, special events, cultural festivals, and ongoing educational curricula to engage, delight, and educate children through exploration of the diverse environments and communities they live in. In 2003, NLI was appointed to conduct the BADM research project My Place by The Bay: Prepared Environments for Early Science Learing. The goal was to investigate the relationships between the design of outdoor early childhood museum settings and science learning behaviors of children three to five years old. Research supported by the National Science Foundation (NSF). Robin C. Moore (PI), Nilda Cosco, Ph.D., Orçun Kepez, PhD., Evrim Demir, Ph.D. 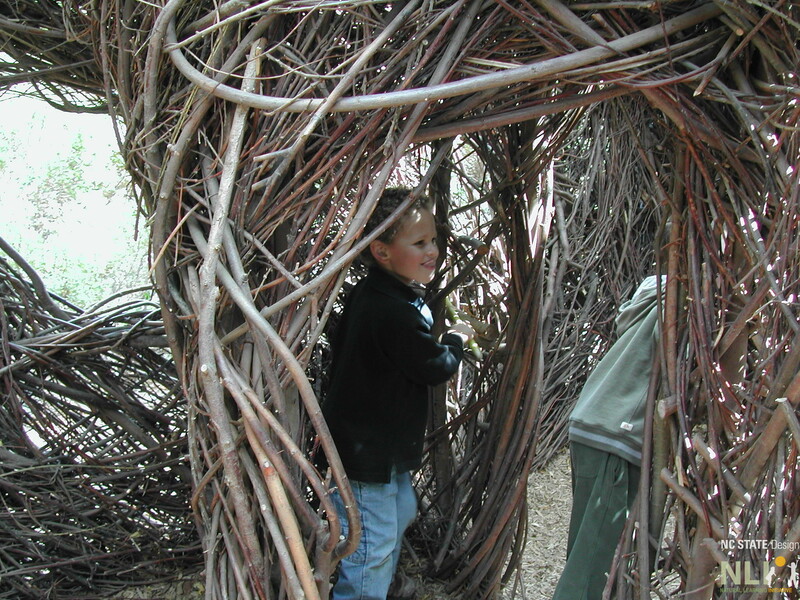 The focus of this study was the investigation of the relationships between the design of early childhood museum outdoor settings and science learning behaviors of children. The aim was to answer the question: How can designed and prepared outdoor environments stimulate and support science learning behaviors of children? The field research was conducted at the Outdoor Tot Spot and Lookout Cove, outdoor exhibit areas, which opened in the Spring 2003 and Summer 2004 respectively. Outdoor Tot Spot was designed for children ages four and younger. Lookout Cove was designed for children ages three to eight with an emphasis on children ages five to eight. A qualitative/quantitative, environment-behavior approach was used to investigate how the Outdoor Tot Spot and Lookout Cove design features and related behaviors (independent variables) stimulated science learning behaviors (dependent variables) of young children and their caregivers. An online members survey was administered to gather caregiver use patterns, perceptions, and descriptions of Outdoor Tot Spot and Lookout Cove, linking their design attributes to science learning. Two linked behavior-mapping studies were used to define behavior setting boundaries, which were then applied to a second study looking at science learning behaviors (playing, observing, exploring, experimenting, and cause-and-effect) and related environmental and social contextual variables. 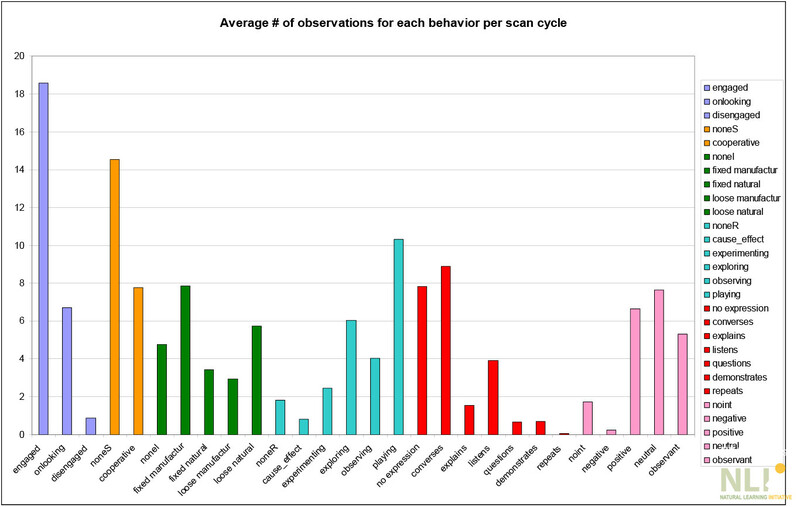 Descriptive statistics and the results of a correlational analysis were used to help understand which settings supported science learning behaviors and their associations with setting attributes. Results demonstrate that outdoor environments of children’s museums can be designed to afford science learning behaviors for young children. The success of the two BADM areas (Tot Lot and Lookout Cove) suggests that it is possible to design age-appropriate, museum-related outdoor areas to serve as family destinations that child and adult visitors perceive as providing fun, enjoyable, educational experiences that motivate repeat visits. The main conclusions that follow may be useful in guiding future design and development of outdoor environments to support early science learning. However, site dynamic variables such as compactness of settings, circulation form, and site layout, which were not part of this study, may also influence the results. Space utilization. In both BADM areas, a limited proportion of the total number of settings was heavily used and strongly supported science learning behaviors. Analysis of the setting variables associated with science learning behavior help explain (as follows below) why some types of settings were more successful than others. Water exhibits. Age appropriate water settings strongly support early science learning, the range of which will be associated with the presence of loose parts and amount manipulation afforded by the setting. The BADM water settings conclusively demonstrated this. Outcome impact of water features might be increased by mimicking natural characteristics such as flow and pressure providing children with additional opportunities for experimentation. Loose parts and manipulability. In settings other than water, inclusion of loose parts and possibilities for environmental manipulation (in settings such as the Gravel Pit and Bridge) will increase the chance that science learning will be supported. Use of loose natural materials (gravel, sand, etc.) often encourages longer periods of engagement and play, which may have a strong science learning behavior component. Live nature exhibits and settings. Because of the likely, positive effect of loose parts and manipulable exhibits on science learning, it is possible that natural settings other than water may also support science learning behavior – emphasizing the long tradition of formal science education. Natural features, especially trees, shrubs, vines, ground covers, and perennial flowering plants, can be designed into “nature pockets” to provide hand-on contact and an overall natural ambience throughout the exhibit area. The current cultural issue of children’s lack of contact with nature in their daily lives lends further justification. Fixed elements of settings or exhibits. These may be natural (as described above) and manufactured (e.g. boat, bridge) and provide the stable, permanent physical frame of action in combination with loose, manipulable parts. Fixed manufactured elements may be used to define setting boundaries or to provide landmarks. 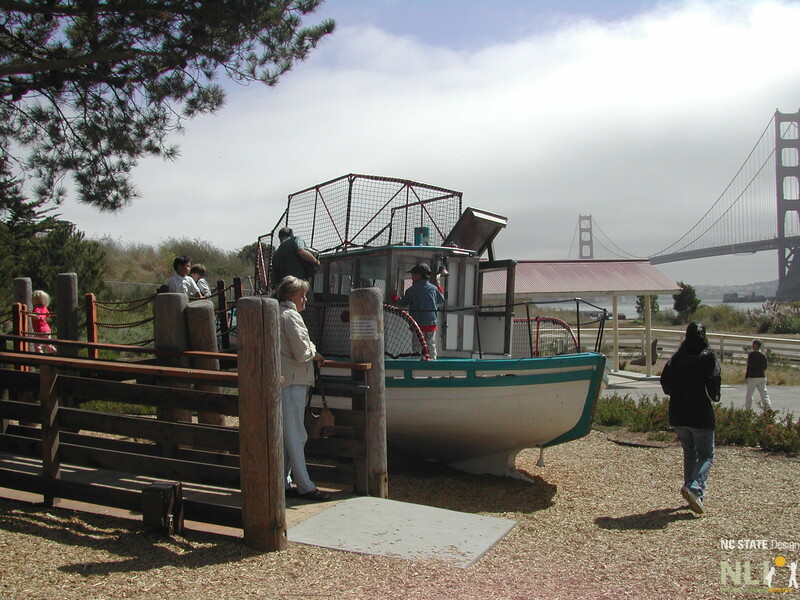 A BADM example was the manipulable, fixed fish sculptural exhibit installed on the ramp entry to the Fishing Boat. Although it attracted only modest use, it provided a valuable fixed yet manipulable play and learning feature of the Fishing Boat setting. Fixed/loose combinations. Successful BADM fixed/loose combinations include the Gravel Pit (fixed, manufactured container of poured concrete, with natural, loose gravel, and manufactured, loose toy trucks) and the Tide Pools (fixed, natural rock pools – actually fake but looking natural – with natural manipulable water, and loose manufactured – lifelike – fish). In both of these examples, the level of environmental interaction and engagement appeared to support higher levels of science learning behavior. Pockets of nature as described above may provide further enrichment and possibilities for interaction because of the offering of natural materials (leaves, flower parts, seeds, twigs, etc.). A successful BADM example of manufactured fixed/loose combination was play with toy trucks on the Bridge access ramp, which afforded cause-and-effect science learning behavior. Diversity of small scale natural loose parts. Provision of natural settings can offer a wide range of loose parts that increase possibilities for supporting individualized experiences of a wide range of children by age, personality, and cultural background. Dramatic play settings. Carefully specified and designed dramatic play exhibits and settings incorporating features that naturally afford science learning behavior through play, can provide effective outcomes. The most successful BADM setting in this regard was the Fishing Boat. This was not only one of the most popular settings but afforded high levels of science learning behavior. It is possible to speculate that the display of real life objects is very appealing for children. They may also act as backdrops to spontaneous dramatic play that, in turn, becomes a means for exploration and experimentation. Programming such a setting could extend educational outcomes even further by introducing specific scenarios (navigating a storm for example). The addition of manufactured loose materials (toys, dresses, etc.) to initiate the dramatic play and interaction with other children may increase the potential of affording science learning behavior. Programmable settings. The science learning impact of settings and exhibits may be extended through educational programming by museum staff. 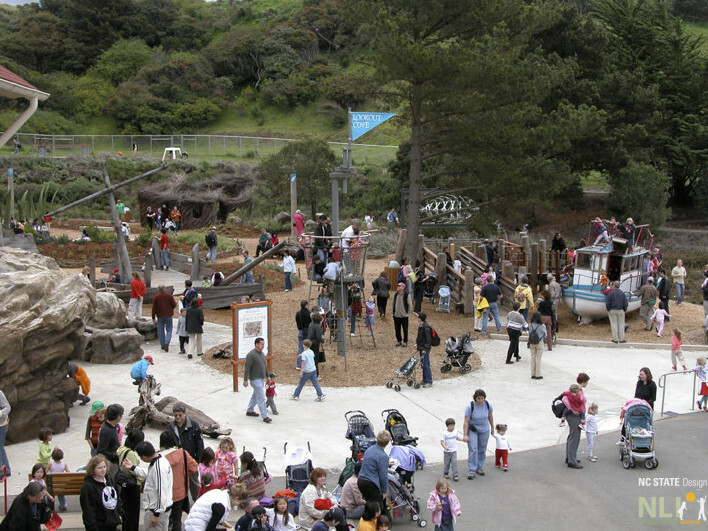 BADM areas provided outdoor play and learning environments that functioned primarily as stand-alone facilities but were also programmed to offer additional enjoyable, educational benefits, for example treasure hunts, which encouraged children to use the landscape of the whole Lookout Cove area. As in this example, programmed activity can be used to attract engagement of older siblings. Risk and safety considerations. Museum environments must be designed to protect the health and safety of visitors but at the same time offer challenging risk-taking by young visitors. Although these topics were not systematically investigated in the research reported here, the BADM outdoor areas were observed to offer risk-taking challenges by allowing movements up and down, under and over features as much as around features.